The winners of the 2018 delicious. Produce Awards, the country’s most prestigious food industry awards, were announced overnight at a gala event at QT Sydney. 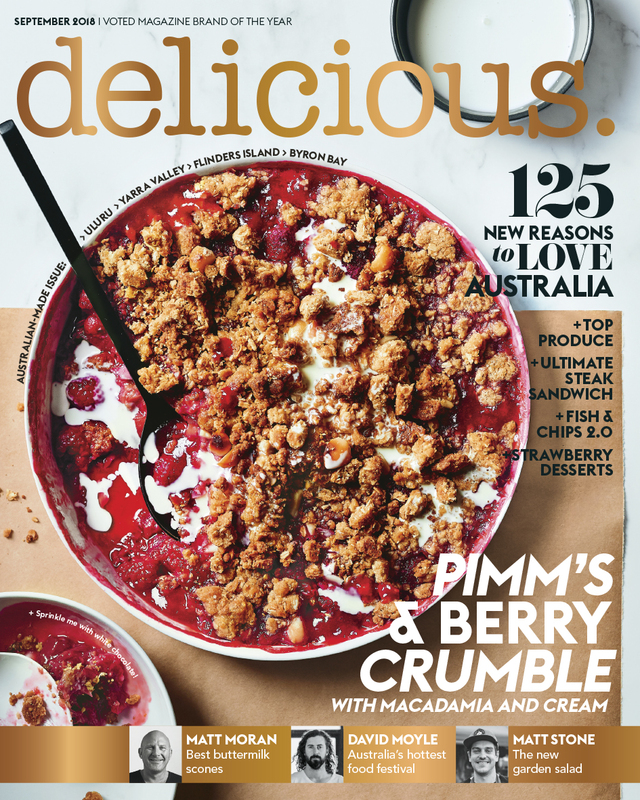 Some of Australia’s most renowned chefs and food industry leaders joined the delicious. team and finalists at the annual ceremony. The delicious. Produce Awards are designed to celebrate the country’s most outstanding ingredients and regions, inspiring sustainable producers, farmers’ markets, innovators, and regional and emerging chefs. Fifteen trophies and thirty-seven gold medals were presented, plus one highly commended mention, with each of the State Winners across the four major categories (From the Dairy, From the Earth, From the Paddock and From the Sea) judged by the National Judging Panel, and considered for the overall Producer of the Year Award, which was last night awarded to Carla Meurs and Ann-Marie Monda of Holy Goat Cheese. The second annual Alla Wolf-Tasker Foundation delicious. Produce Awards Good Food Matters Scholarship was awarded to Burrawong Gaian Poultry and may be used for educational travel, ‘staging’ with other practitioners in their field, and the pursuit of relevant educational courses and workshops or similar. Speaking at the awards, delicious. editor-in-chief Kerrie McCallum said: “With sustainability on the agenda more than ever right now, we are delighted that the delicious. Produce Awards serve to shine a light on trailblazing producers and artisans who are finding innovative ways to grow and raise not only some of the consistently best-tasting produce, but produce that is both seasonal and sustainable. Now in its thirteenth year, the delicious. Produce Awards continue to champion the best Australian produce and the people behind it, thanks to a passionate network of food industry experts who nominate outstanding produce and producers from all over Australia, and the insight of our National Judging Panel and critics panel (pictured above). delicious. Produce Awards Ambassador and National Judge Matt Moran said: “It is always a privilege and honour to be a part of the delicious. Produce Awards National Judging Panel. “Every year we are blown away by the standard of produce being grown and raised around this bountiful country that really lays the foundation for our world-class food industry. “The 2018 delicious. Produce Awards VIP event was hosted by delicious. senior editor Matt Preston and guests were treated to an incredible menu of canapés created by the QT Sydney team inspired by 2018 winners’ and gold medallists’ produce, with flowing drinks from Qantas Wine. National Judges and VIP guests stayed at QT Sydney.